gallereplay | Arched Bridge Over a Canal with Palace in Background. Arched Bridge Over a Canal with Palace in Background. 4.16 MB, 1920x1080px, 8.4 secs. 39.97 MB, 1920x1080px, 8.4 secs. 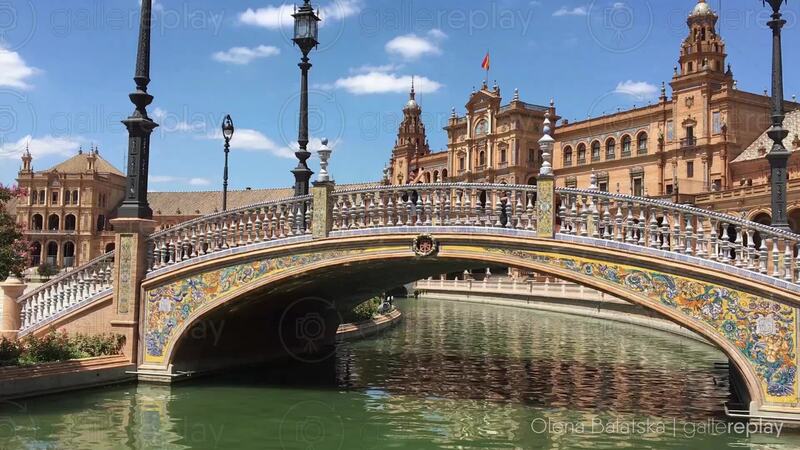 View of an arched bridge over a canal of rippling water near the Plaza de España in Seville.